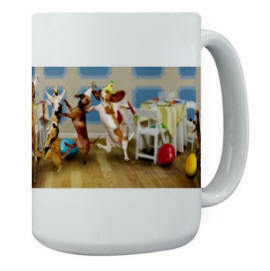 Diversify Your Stock Photo Business - Selling Photos on Mugs, T Shirts, and Printed Merchandise! We sell over a million greeting cards a year. 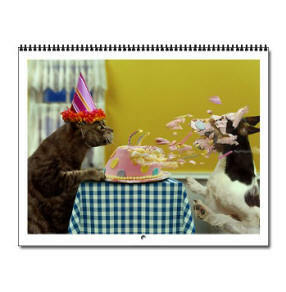 This series of funny cat and dog pictures are also sold as gift books, figurines, calendars, post cards, coffee mugs, T-Shirts, apparel and more. 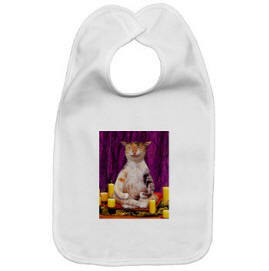 Some samples of printed merchandise using stock photos for mugs, greeting cards, sweats, coasters, bibs, and more. To succeed in today’s insanely competitive world of stock photography it is vital to have your photos seen. No matter how great your pictures are is if no one sees them, they aren’t going to sell. In this article I will share a strategy for getting your images seen, for getting effective distribution and for strengthening your business through diversification. I had been shooting stock for over fifteen years when I created a funny animal picture of a cat with a canary in its mouth. I thought the image might make a good greeting card and made an appointment with an Art Director at a company that publishes and distributes greeting cards. 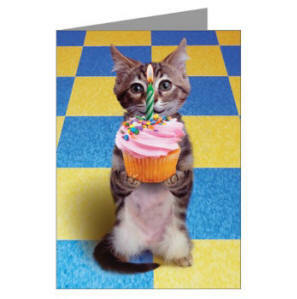 To my ever-lasting surprise, the company, Portal Publications, liked the idea and we began a line of greeting cards featuring funny pet pictures. We now sell over a million greeting cards a year. 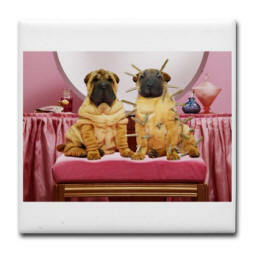 This series of funny cat and dog pictures are also sold as gift books, figurines, calendars, post cards, coffee mugs, T-Shirts, apparel and more. We can learn from this success some key steps that you can use as a guide for your own success: Developing a niche; Strategic Distribution; and developing your personal brand. Developing a niche is building a foundation that works on many levels. When I first took that humorous image of a cat with a canary feather to show Portal, I wasn’t aware that they had already used several of my silly animal photos on their greeting cards. 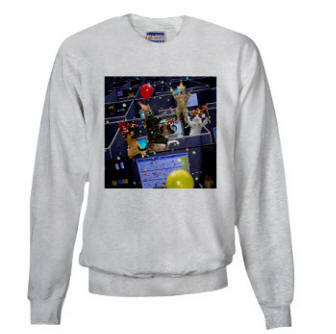 They had licensed them from Getty Images. The Art Director didn’t see my photo as a single photo; she saw it as one of a series of images. Clients such as greeting card, calendar and poster publishers are far more interested in a series of images than in a one-off proposition. Even a stock photo agency is going to be much more likely to want to distribute your work if you have a larger quantity of similarly themed pictures. It is important to take a strategic look at your distribution. That image of the Cat with the Canary Feather in its mouth was licensed to the greeting card company before I submitted to my stock agency. For the agency to accept the image that had to grant me the paper product rights. 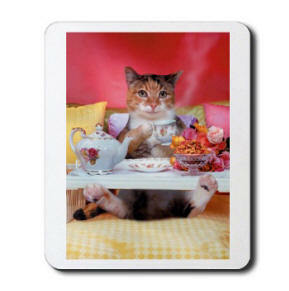 If the agency had licensed the photo to the greeting card company I would have made as much as $1,600.00 by now. By licensing the image myself I was able to get a royalty which as I write this now stands at over $6,000.00. Getty will no longer accept images from me in which I reserve certain rights. I have found a niche agency, Kimball Stock, to handle my Animal Antics funny animal pictures. I have a niche agency, Blend Images, who handles my ethnically diverse business and lifestyle stock photos. Getty, Corbis, and SuperStock distribute my general stock photo images. It is important to understand the strengths and weaknesses of distributors and choose the right ones for your images. Do your homework! Never has it been more important to develop your own personal brand. In a market awash with images one of the keys to success is to get your photography seen. Having a strong personal Brand makes that much easier and more likely. 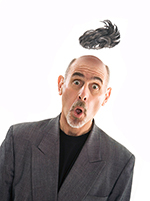 I registered the name John Lund’s Animal Antics®, created a logo, and whenever possible have had all the products from coffee mugs, to mouse pads to pet food bowls emblazoned with that logo. In cases where for various reasons that has not been possible I have at least made sure that I have my copyright notice, ©johnlund.com, clearly printed. By adding .com to my copyright notice I make it just that much easier to find me, and my additional available photography. I mentioned that I have worked with several different stock photo agencies in several different niches. I want to be known to animal lovers as the go-to-guy for funny pet pictures. I want to be known to advertising and corporate buyers as a premier source for concept stock photos. 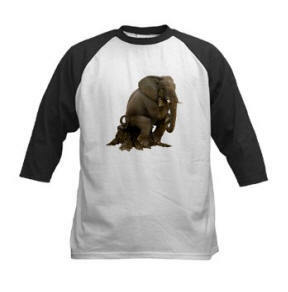 I want people looking for products with printed funny animal pictures to come to my CafePress store. There has never been a more important time to establish a strong personal brand than now; and it has never been easier to do so. The Internet levels the playing field as it has never been leveled before. The market for your photography is larger than ever. People are hungry for what you are doing. Make it easy for them to find you. Make your website clear and targeted. Make the user experience a good one. Learn about SEO. Develop your own niche, with a strategic distribution network and strong personal brand. Add to that a clear, targeted website, a good user experience, and thorough search engine optimization, and the world will beat a path to your door!